Things to read whilst transiting: The New Yorker asks “is the gig economy working?” The answer: sometimes, but perhaps at the expense of low income earners. If you were considering chunking the regular job for days spent driving an Uber or Lyft or task-rabbiting…read this first! A vintage way of getting around versus a not-so-vintage way of getting around. As seen in SaMo. Photo by Steve Hymon/Metro. A city of Long Beach project — funded by Metro — to better synchronize traffic lights along the Blue Line in Long Beach is about 27 years overdue. The project means that trains will have a better chance of getting green lights. The location will be in the new development on 2nd Street, a very short stroll from the Gold Line’s Little Tokyo/Arts District Station, not to mention the bevy of eateries on both Traction and 3rd street. The Father’s Office burger has been much copied in recent years, although I’m not sure the copycats are as good (IMHO). Decide for yourself: the Father’s Office in Culver City is near the Expo Line and it’s a nice stroll or bike ride from the Expo Line to the Santa Monica location. Comment please: what is the best transit accessible burger in L.A. County? A couple others that I really like are the burger at Houston’s in Pasadena (Gold Line Del Mar Station) and Golden State in the Fairfax District on the Westside (217/218 Metro Local). Opponents won, btw, meaning Coronado’s bike master plan was shelved. Welcome to 2017! The Source gets chumped by Utah DOT’s blog, btw. Really? Not to be a whiney little baby, but the robot that put together this list should have read some of the blogs it included. 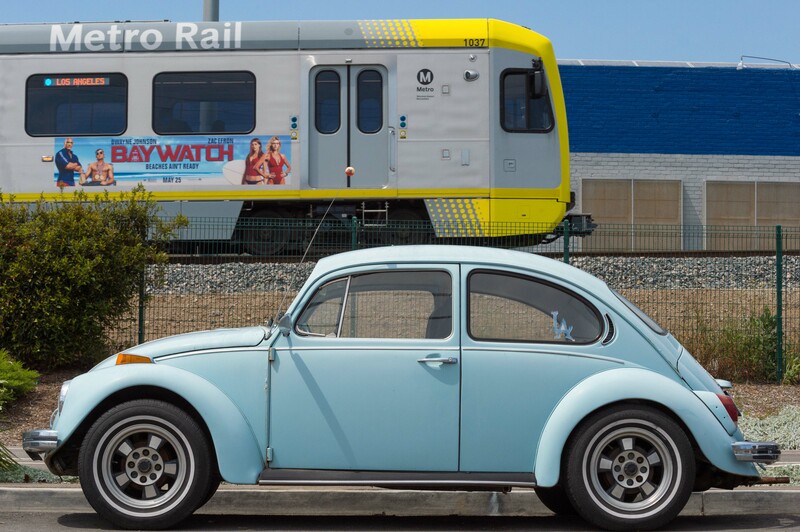 So will the Long Beach signal improvements be signal preemption, or just some sort of “synchronization”? I really hope it’s the former; any Expo rider knows “synchronization” is next to worthless. I believe it’s more of a synch project than complete preemption — which is rare (if nonexistent) in this corner of the world. I’ll try to find a report from city of Long Beach on it. I had a description a while back but it seems to have been swallowed by the laptop wormhole/hard drive. The Expo Line has preemption from 17th street to Lincoln in Santa Monica, the Cities of Los Angeles and Long beach really need to do the same. 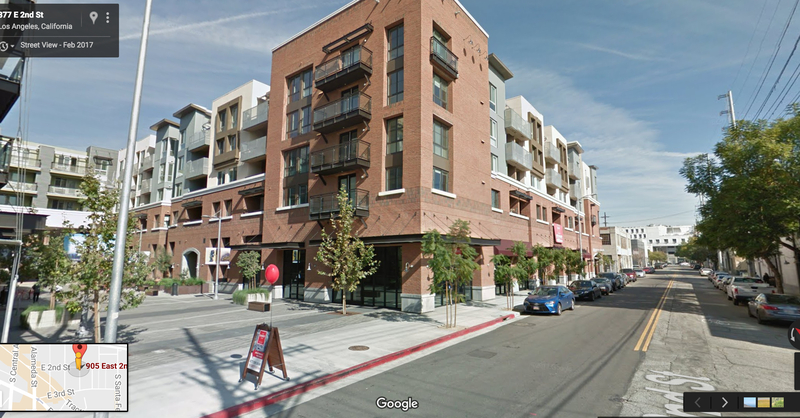 Umami Burger has a location in downtown Santa Monica just three blocks from the Expo station, at 6th & Broadway. Father’s Office is the same distance from the 17th St station, and it’s a nicer walk or bike ride to get there. Oops, I meant same distance from 17th as from downtown, 8 blocks. I’m a Counter fan, too! Very reliable and affordable. Solid burger that doesn’t try too hard to be trendy. The Best burger in town will always be Tommy’s. While the original is on one of MTA’s busiest lines they are all over the L.A. area and beyond. Trendy, never, they have been around since 1945. John Catoe rings a bell. The man that brought us ugly “Orange” buses. Bike lanes are not only ugly, they create a false sense of security and safety for bike riders. If a opening drivers door doesn’t kill you, after you hit the ground and ran over will. Maybe he could just direct LADOT to speed up the Orange line by syncing the signals there too. Hopefully they get to that at least in time for conversion to rail. Trains shouldn’t have to wait at red lights! The Father’s Office burger is overrated, weirdly spongy and bland. Father’s Office may have a nice selection of beers but they don’t seem to get hospitality, it’s the most unfriendly, inhospitable place I’ve ever been to. I’ve found them to be pretty consistent, but I don’t go all that often. I could live without the order at the bar thing — which I find to be lazy. Which brings to mind another burger that I like and also requires ordering at the bar: Greyhound in Highland Park, a short walk from Gold Line. 464 is hands down the best best transit accessible burger at its price point in LA. $7.99 for the delicious American Burger, and it’s only a five minute walk from Pershing Square station. It’s really a shame that it hasn’t been included on many lists of the bests burgers in LA. Thank you–I haven’t been but am putting it on my list! A lot of the lists tend to be a little on the pretentious side, me thinks. Also, I had a good burger last night in Montrose at a place I go to occasionally – Basin 141 in Montrose. One of those burgers that doesn’t try to do too much, and thus is pretty tasty and satisfying. The Metro 90/91 bus goes up there as well as Glendale Beeline — for folks coming from La Crescenta or Glendale. Agree! He’s a burger artist from Naples. Try the Danish Burger, which is made with Havarti cheese and sour cherries! Ridiculous! I agree. 464 delivers an amazing burger at a great price. The only fault I can think of is lack of bun choice. Oh, and let me throw in a vote for Astro Burger – the best fast-food style charbroiled Burger that I’ve had in the area. They have a few bus accessible places, and their La Brea location is near the future Crenshaw Line. I love The Apple Pan, located near Pico Blvd./Westwood Blvd. in West L.A.! Served by Big Blue Bus 7/Rapid 7/8/Rapid 12, Culver CityBus 3, and a short walk away from the Westwood/Rancho Park Metro Expo Line Station. 464 Burger on the Corner of 5th and Main in DTLA. A short walk from Pershing Square station. Fusion Burger on York and Aldama in Highland Park. Their Mexican BBQ burger is amazing. And the 83 bus stops right there! If you don’t mind a ride on the neglected, erratic 125 Rosecrans bus, go to the great B&R Burgers in Hawthorne. Besides the fine burgers, treat yourself to their locally cut fries and be sure to add some spicy ground red pepper! Putting this on the list as we do not get down Hawthorne’s way very often. Thanks for heads up on this! Good one. I lived near there many, many moons ago. Agree that’s a good place. 733 Stops near there too or nice bike ride down from Expo via Main St bike lane or beach path. My favorite burgers are Shake Shack’s burger, which is off the red line’s Hollywood/Vine station and Plan Check’s burger near 7th/Metro. Irv’s Burgers in West Hollywood! Right along Historic 66, Metro 4/704, and the former Pacific Electric line!